Madrid. It was the final stop on my Spanish jaunt last year and I couldn't wait. 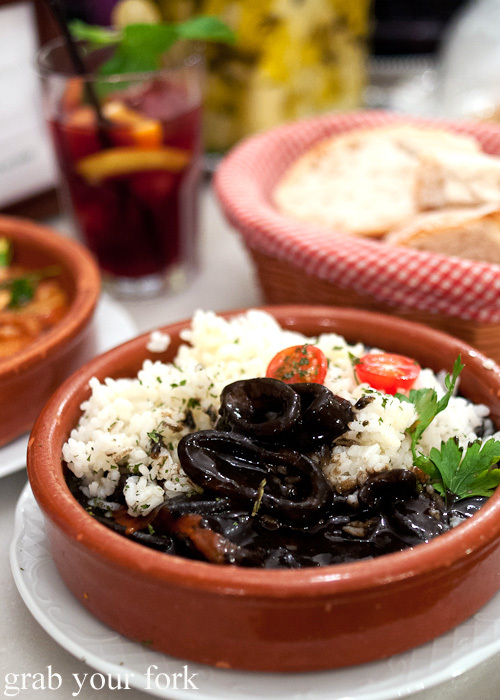 Tapas, deep fried calamari and piping hot churros dipped into thick hot chocolate would all be mine. I had a checklist of things I wanted to eat and I was determined to tick off as many as possible. 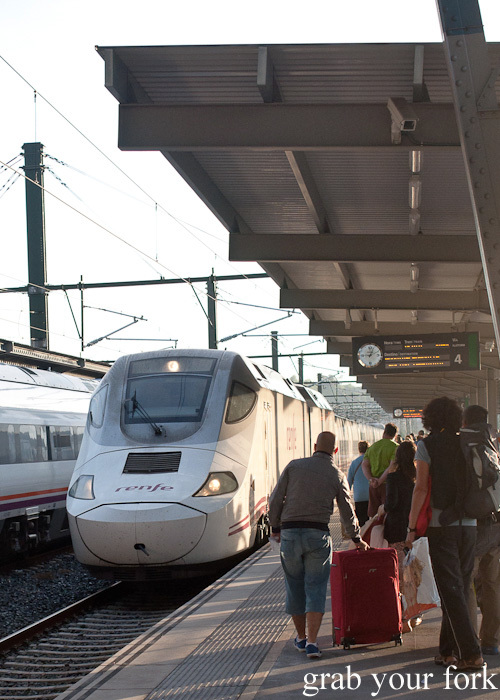 Flying to Madrid from Santiago de Compostela would only take an hour, but I decided to take the train, a scenic route that would take about six hours. 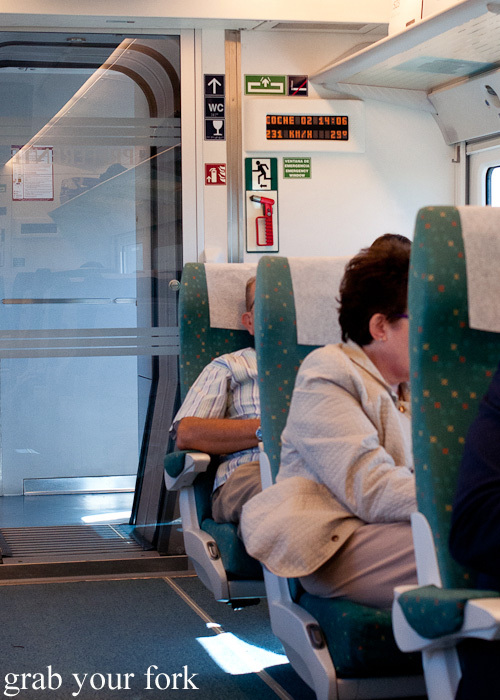 The Renfe intercity trains in Spain are modern, sleek and impressively quiet. Although they can reach top speeds of 350km per hour, my train only hit a maximum speed of 231km per hour during this trip. 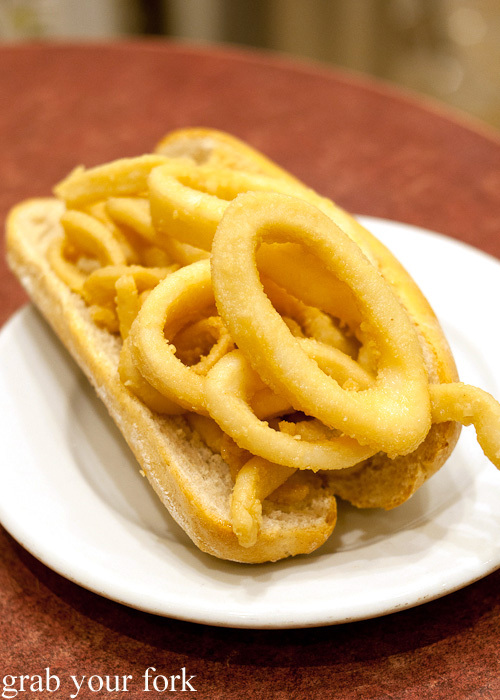 Madrid is the home of the bocadillos de calamares, a fresh bread roll stuffed with deep-fried calamari rings. It's cheap, it's satisfying and it goes terrifically with a beer. 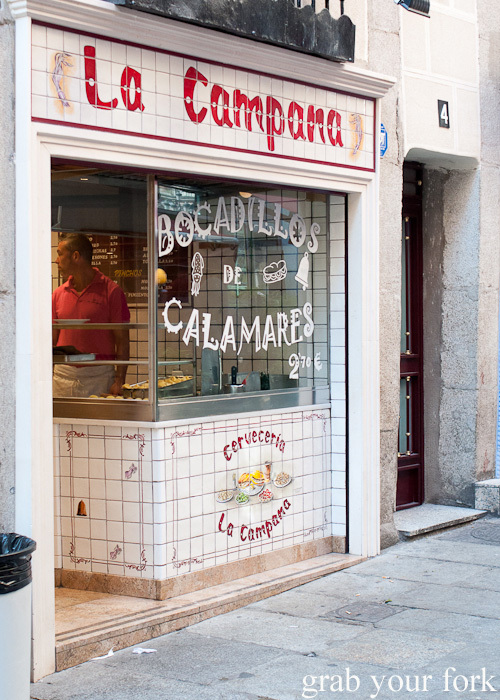 La Campana is one of its most famous suppliers, located just off Plaza Mayor, the main square in Madrid. It's more like a takeaway with casual seating inside and there's never a shortage of customers at the counter. They have all kinds of fillings, but it's the deep-fryer basket of calamari that keeps getting refilled. Fresh calamari rings are dusted with flour and then plunged into hot oil until golden. There's something amazing about biting into a crusty bread roll packed with calamari rings that are crunchy on the outside but tender within. A squiggle of garlic mayonnaise is the icing on top. 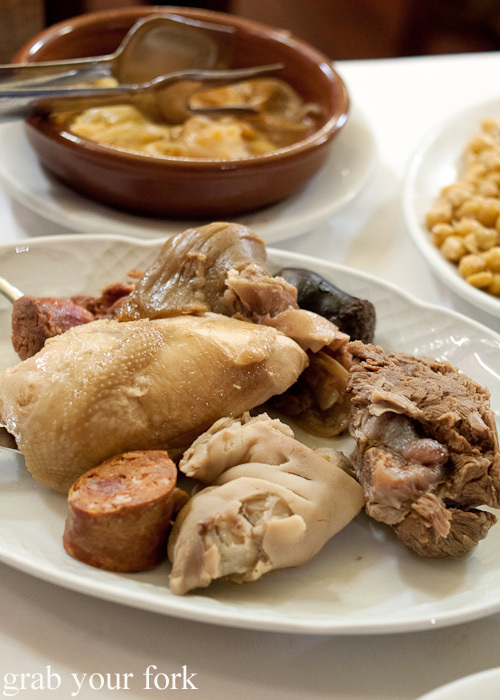 Cocido Madrileno is another specialty in Madrid you need to hunt down. 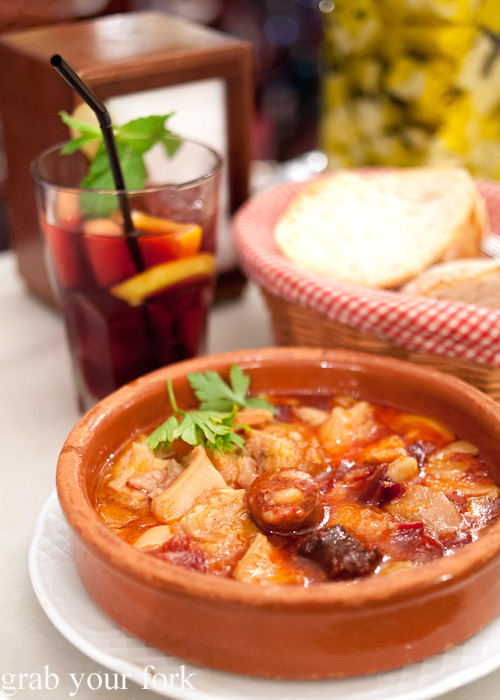 This famous stew is a localised version of a Spanish dish featuring chick peas, chorizo, pork and vegetables. At Malacatin, they've been feeding this hearty winter dish to eager locals for decades. 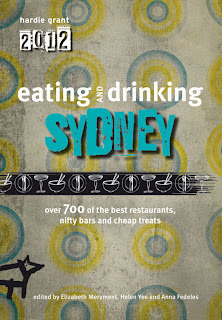 Originally opening as a wine bar in 1895, a kitchen was added to convert the bar into a restaurant. Malacatin isn't in the fancy part of town. 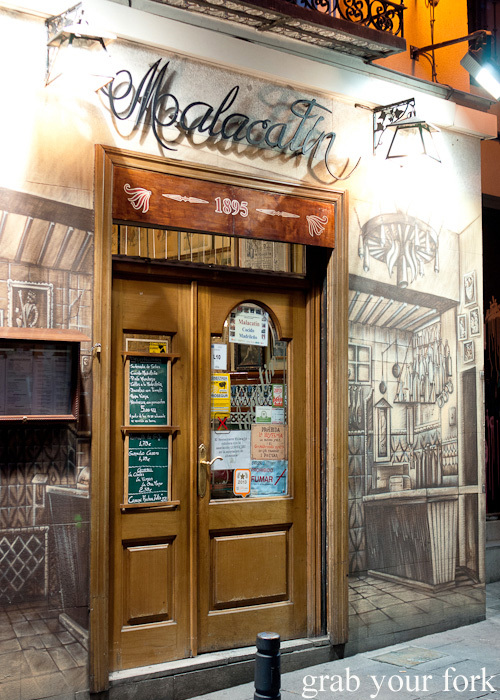 It's in the gritty part of La Latina, one of the oldest areas in Madrid, but in a way that's half of the charm of this historic restaurant in the middle of a dark alley. The restaurant is tiny, with just ten tables at the rear of the wine bar. Staff are welcoming and friendly and take great pains to explain everything in English to tourists. 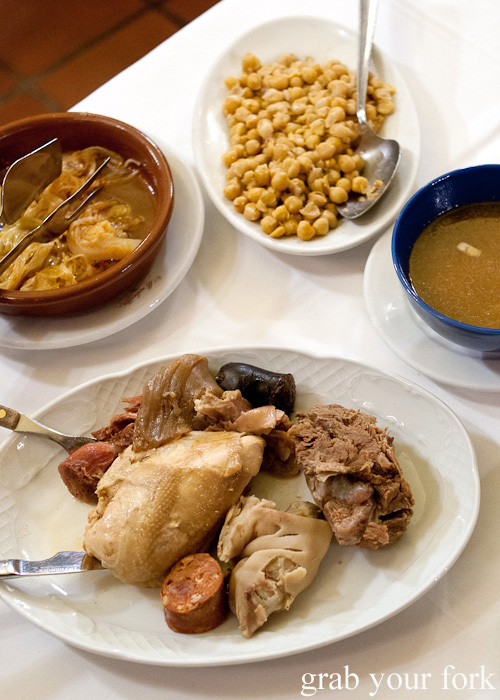 Cocido is said to be a dish that harks back to the Middle Ages with a Jewish dish called adafina. 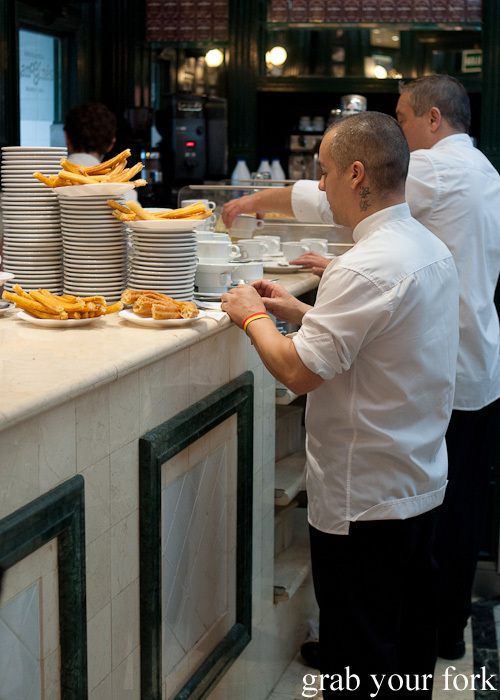 In the 19th and 20th centuries, this dish was popular with the influx of manual workers who helped build Madrid during its period of rapid growth. 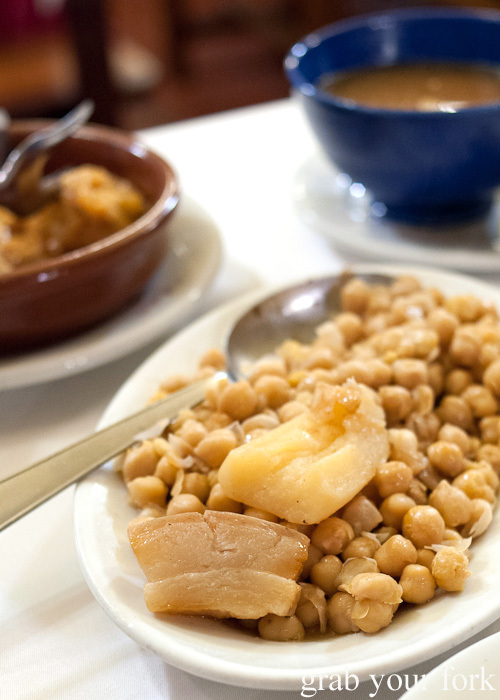 Cocido is a rustic dish that's made in one pot but tradition dictates that each ingredient is served separately. 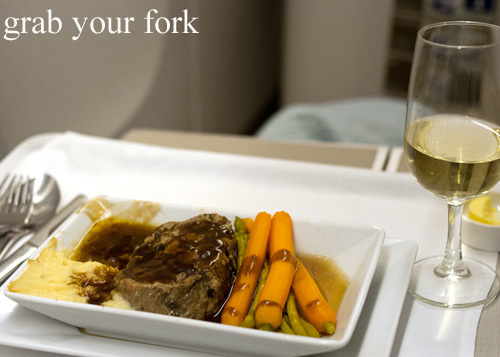 Each serving is called a vuelco. 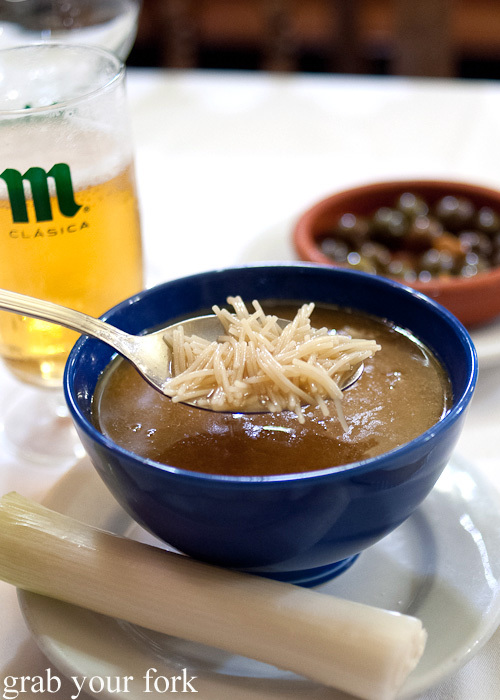 The first vuelco is always the soup, drained from the cocido and used to cook a handful of noodles. At Malacatin, there's a poetic grandeur in its description of the ensuing vuelco. 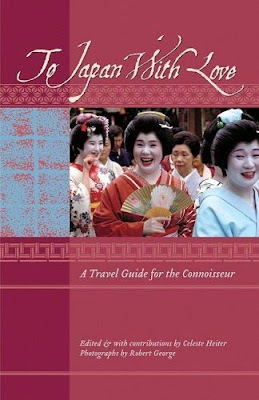 It's as dramatic as a theatre production with plenty of memorable characters. I'm the only solo diner in the restaurant tonight and to say there is too much food is an understatement. It just keeps coming. Everyone is struggling with the sheer number of dishes though, even the beefy American bloke in the corner. I love the chickpeas, firm to the tooth and flavoured deliciously from the broth. The "serious boiled potato" has soaked up much of the salty stock too, as have the wilted leaves of cabbage which are wonderfully smoky and porky. The final plate of meat is a challenge for even the hungriest carnivore. The chicken is a little dry but I can't get enough of the "bizarre chorizo of Leon" or the "extreme black pudding of Extremadura". I feel like I've had one of the best history lessons you can find: through food. 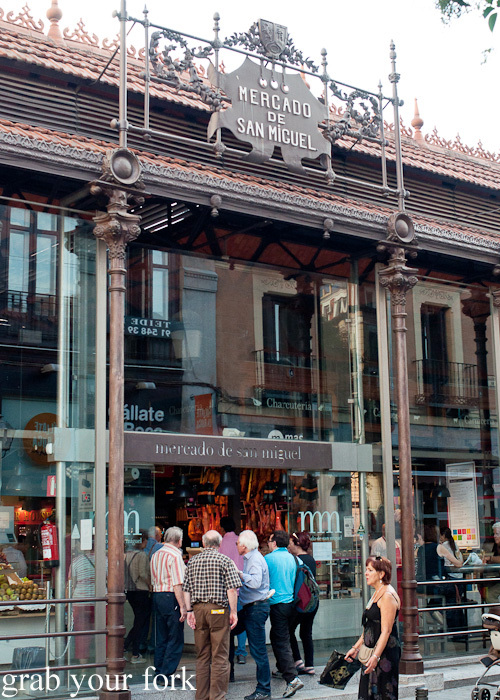 In the centre of town is Mercado de San Miguel or San Miguel Market, an impressive feat in cast-iron architecture built in 1916. 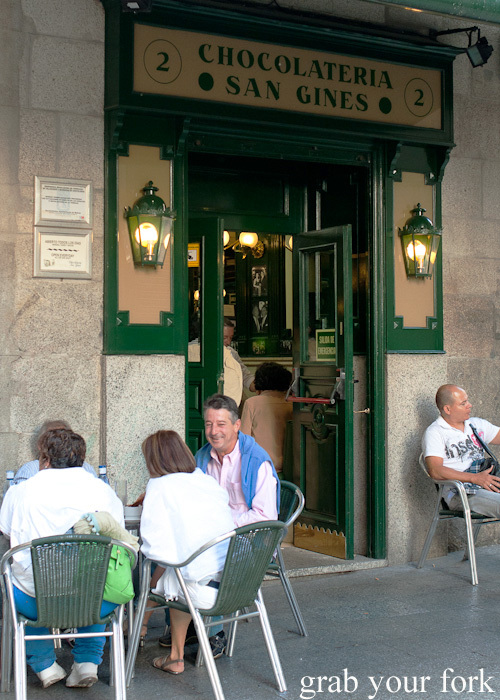 It's one of Madrid's oldest markets and also one of the most elegant, recently renovated into a tourist-friendly food emporium. You'll find pristine legs of Iberico ham, counters lined with tapas-style snacks, wine bars, caviar stalls and elegant seating to enjoy it all. It's open until midnight every night, trading until 2am Thursdays to Saturdays. Mercado de la Cebada isn't half as flashy as Mercado de San Miguel but one step into this humble market and I was immediately smitten. 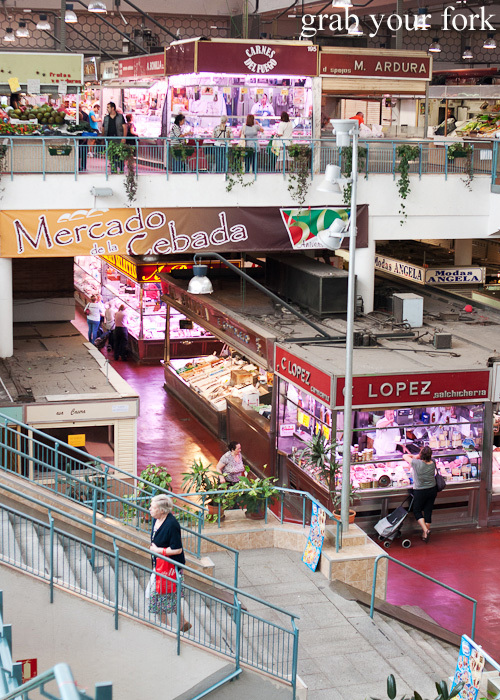 The market sits at the edge of La Latina and you'll find barely any tourists here. Instead there's a happy flow of locals doing their daily shopping. 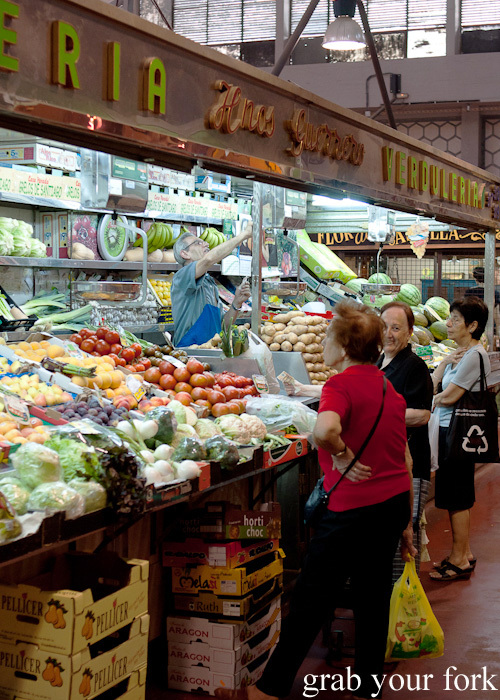 Mercado de la Cebada opened in 1875 after five years of construction. 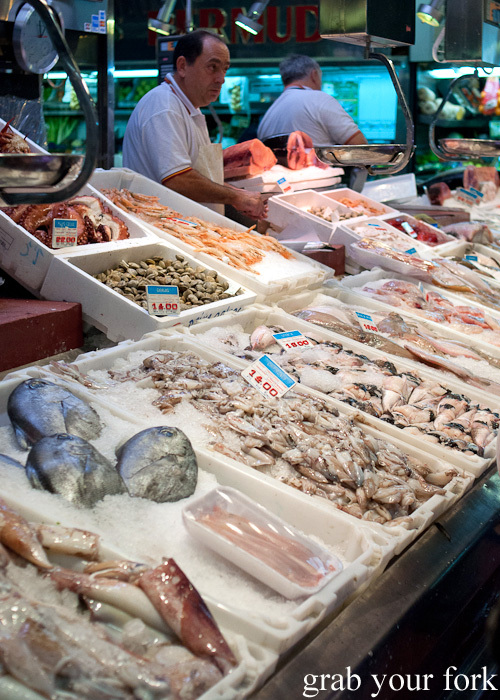 Today there's a mix of fishmongers, fruit and vegetable shops, charcuterias, butchers and cafes spread across two floors. 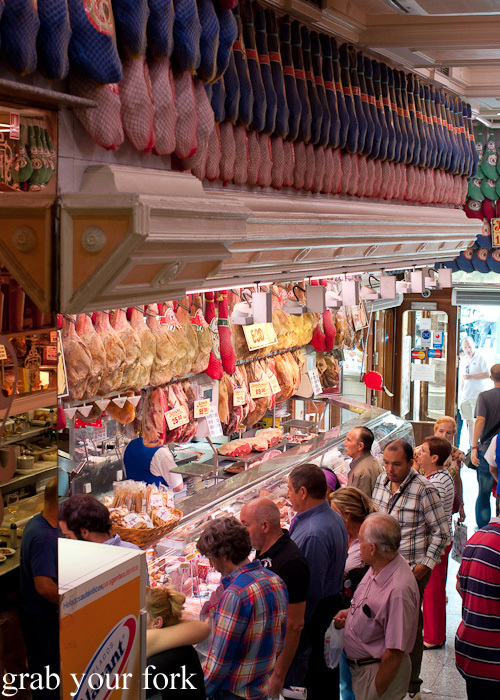 It's at this market that I went on my final iberico eating spree. Prices are much cheaper here than San Miguel Market. The jamon iberico puro de bellota here is AU$167/kg compared to AU$240/kg at San Miguel Market. 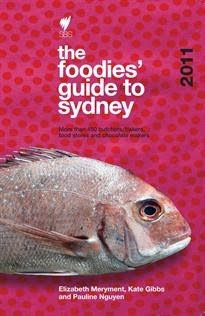 In Australia you can pay upwards of AU$600/kg. 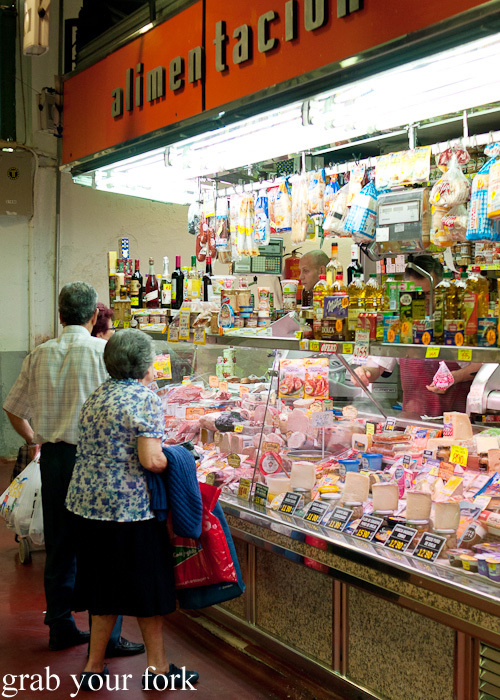 What's the difference when it comes to jamon? 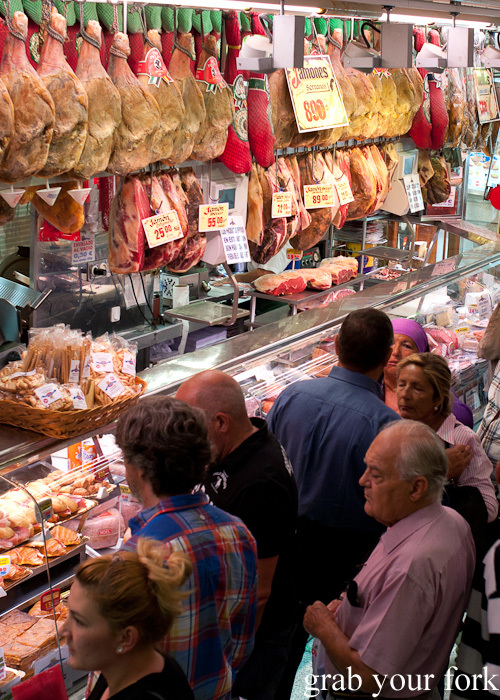 Jamon serrano is often made from factory-farmed pigs. Jamon iberico or jamon iberico de cebo is made from Iberico pigs that are fed only grain. The ham is cured for 24 months before sale. 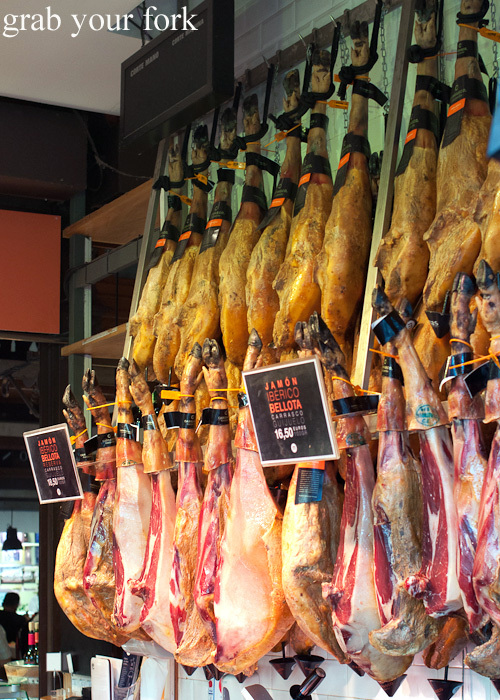 Jamon iberico de recebo means the pigs are allowed to roam in pastures and are fed a combination of acorns and grain. 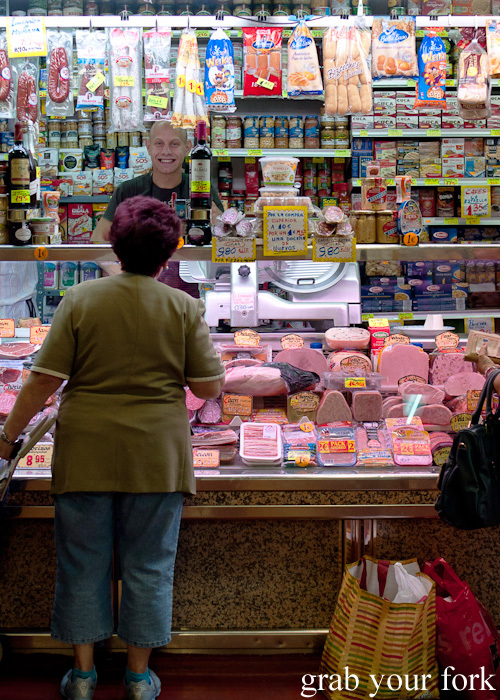 Jamon iberico de bellota means the ham is made from free-range pigs that wander oak forests. They eat only acorns (no grain) for three to four months. Each pig can eat ten kilos of acorns per day. The ham is cured for 36 months. When you see iberico puro, it means that both the mother and father of the slaughtered animal are pure breed iberico, and have been registered on the pedigree books of official breeders. 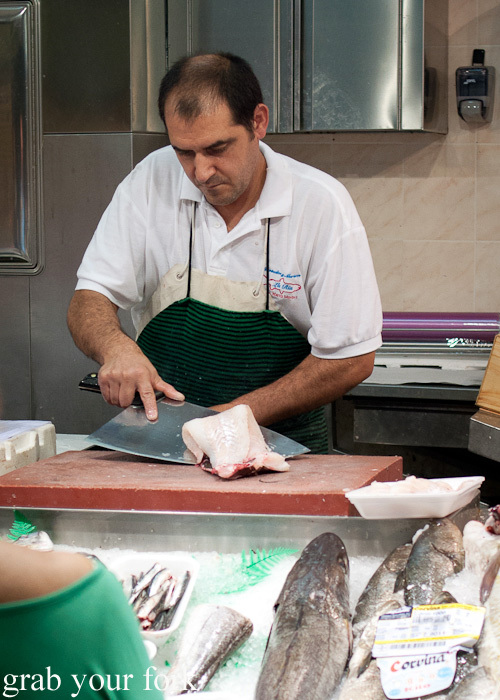 Jesus at the charcuteria is only bemused at my crazed photo-snapping as he carves 100 grams of iberico de bellota for me. 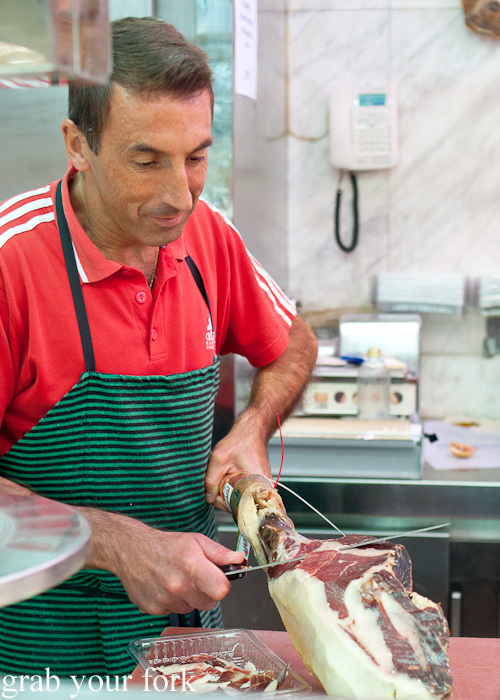 He barely bats an eyelid when I return the next day, smiling as he reaches up and lifts down the leg of iberico de bellota for more slicing. 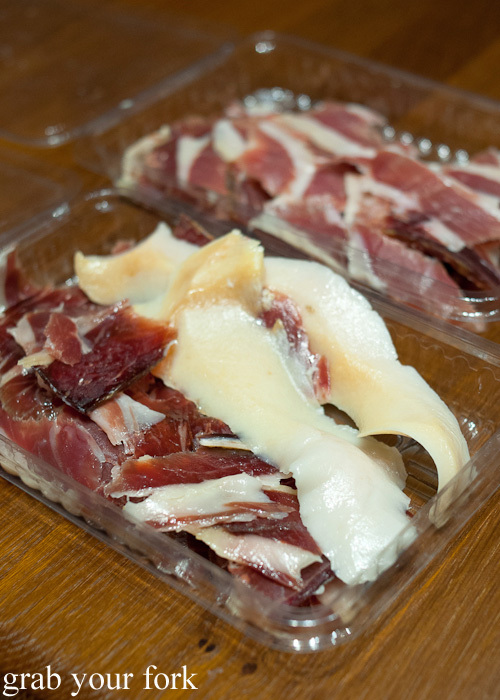 On my last day I buy 100grams each of the iberico de bellota and the iberico de cebo. The difference in appearance let alone taste is immediately obvious. 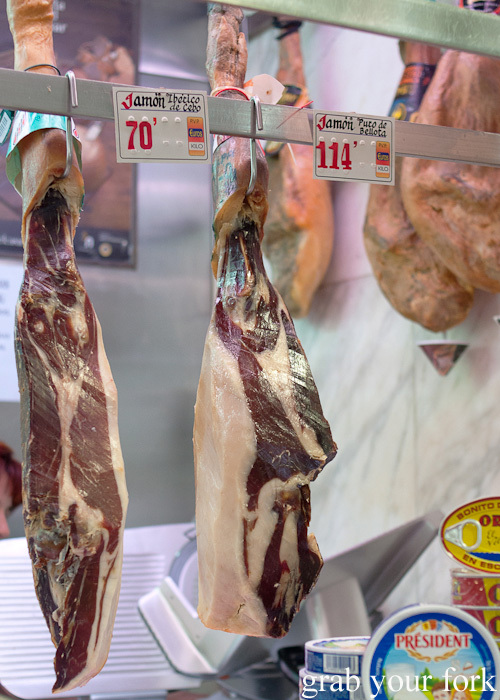 The iberico de cebo, made from grain-fed pigs, has a lovely fattiness but it's nothing compared to the iberico de bellota where the intensity of taste is off the charts. The dark cured flesh is almost waxy in texture and there is an incredible nutty sweetness to every mouthful. 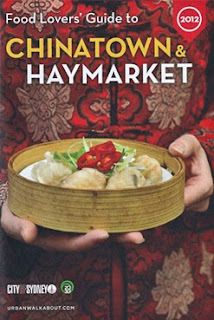 Its flavour is richly complex and its sweetness reminds me of Chinese char siu roast pork. I close my eyes with each bite and savour its distillation of porcine goodness. Jesus threw in some extra chunks of iberico fat just in case I wanted to cook with them. I couldn't explain in Spanish that I didn't have a kitchen in my hotel but I really wished I did. 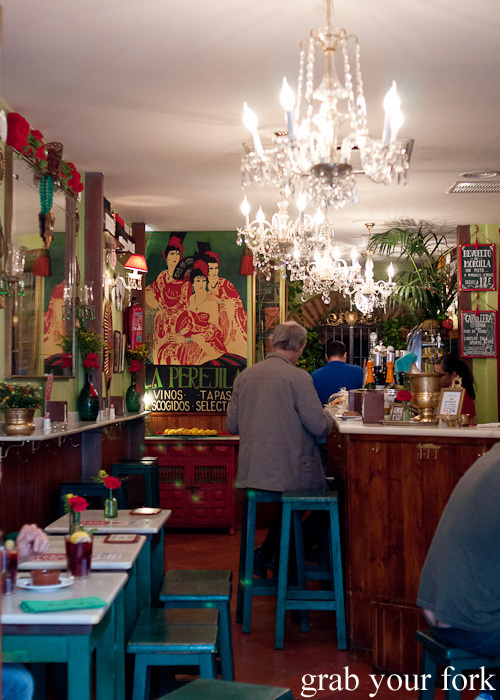 Cava Baja is where you'll find a swarm of tapas bars. Half of them are open for lunch but the action doesn't really kick off until the dinner shift which starts at 8.30pm. I wandered into La Perejila after assessing the menus up and down the street, and was pleased with how low-key and friendly it was inside. There are quirky decorations on the walls, super efficient staff behind the bar, and a very amorous couple next to me who I try with difficulty to ignore! Sangria was just what I needed on a hot day and this one was a beauty. 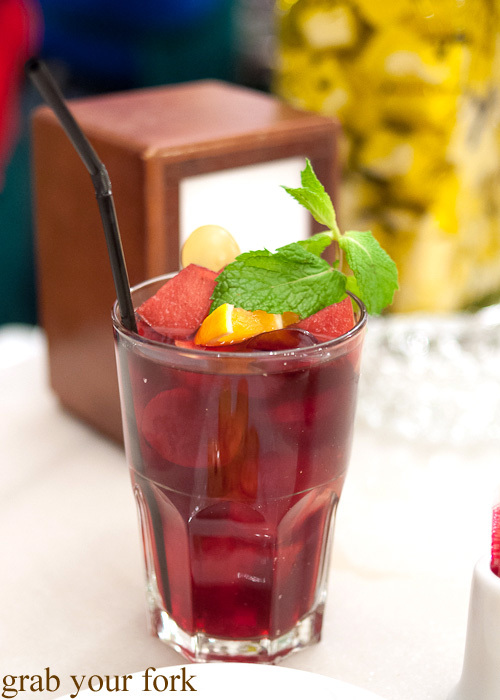 I score a chilled glass of sangria packed with chopped fruit and garnished with fresh mint and a carefully plucked grape. 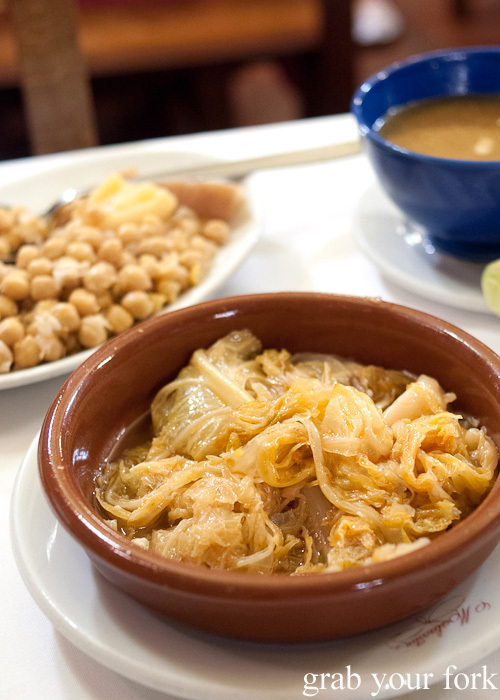 I'm on a mission to eat every dish famous in Madrid and I knew I couldn't leave town without having Madrid-style tripe. I adored this callos a la madrilena, a heartwarming stew with honeycomb tripe simmered until soft and yielding, fat slices of spicy chorizo sausage and hunks of deep and earthy morcilla blood pudding. I also revel in calamares en su tinta, or fresh calamari cooked in its own ink. Jet black calamari might look ominous to some but the taste is nothing short of magnifient. The calamari is deliriously tender, enhanced by the sea-sweet flavour of the squid ink. And of course there was churros. 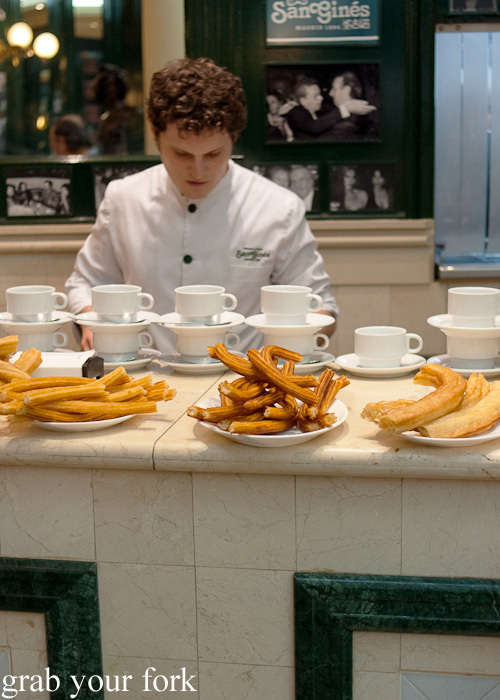 San Gines is one of the most famous places to have churros in all of Madrid, serving up these irresistible donuts since 1894. 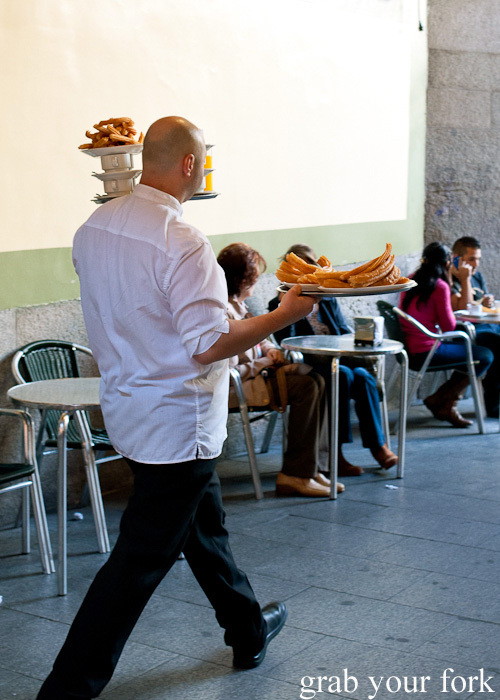 The cafe serves two types of donuts: thin churros sticks and thicker porras logs. 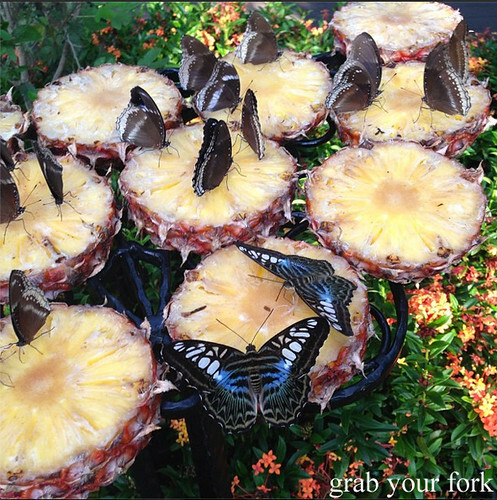 They also serve cakes, coffees, hot chocolate and all kinds of drinks. The cafe is open 24 hours a day, 7 days a week, and no matter what time of the day I walked past, the place was always packed with people. 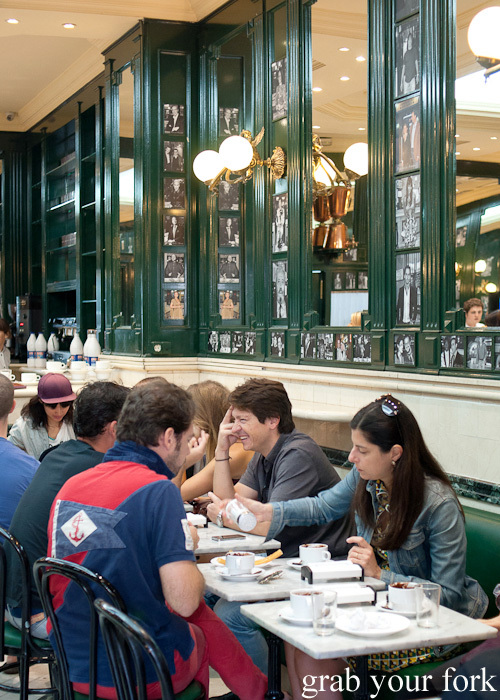 You need to find your own table and patiently wait for a server to take your order. 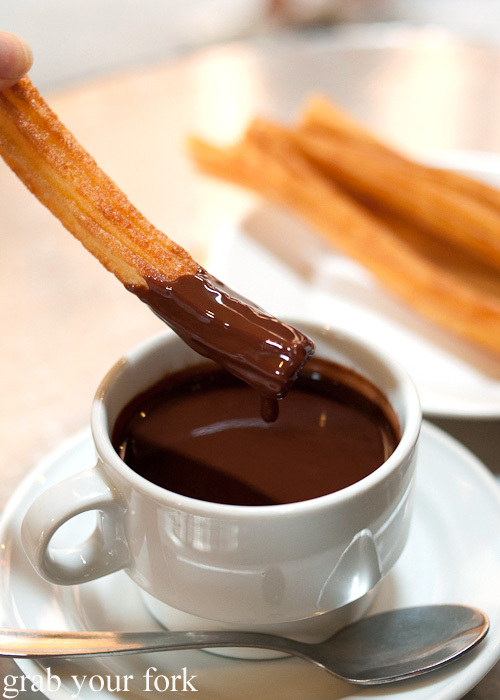 In the meantime it's hard to stop yourself drooling as you watch countless trays of hot chocolate and churros pass you by. The balancing acts performed by waitstaff is a show in itself too. 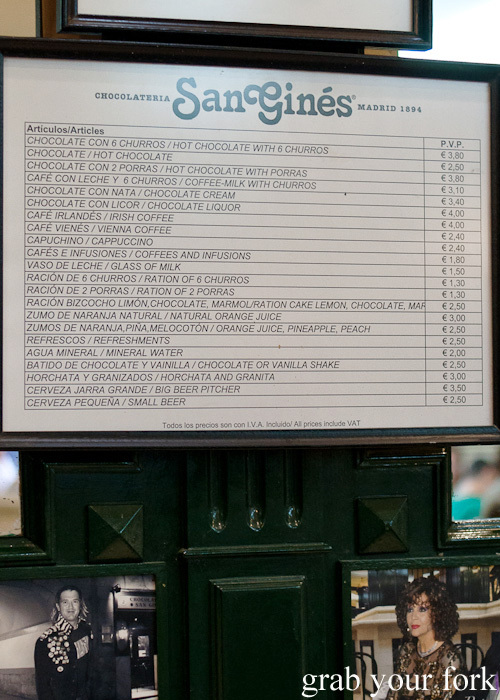 Inside the cafe, the churros and hot chocolate stations are pumping non-stop. Everyone is busting their gut here and it's not even 11am. 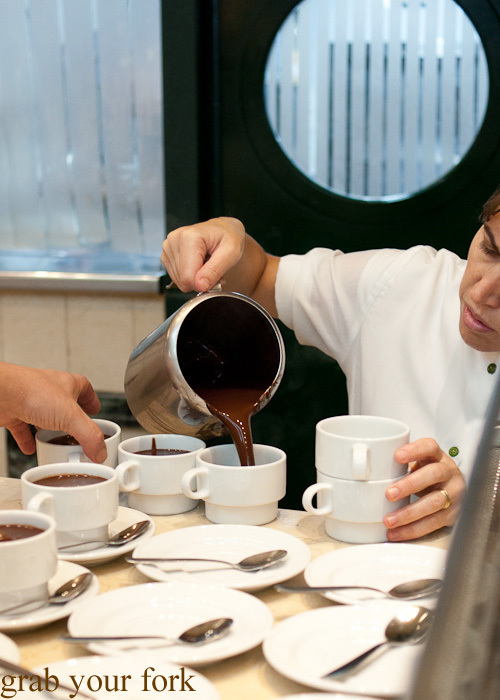 Spanish hot chocolate is a vision of glory, flowing like a thick dark river as it's poured into an army of never-ending cups. 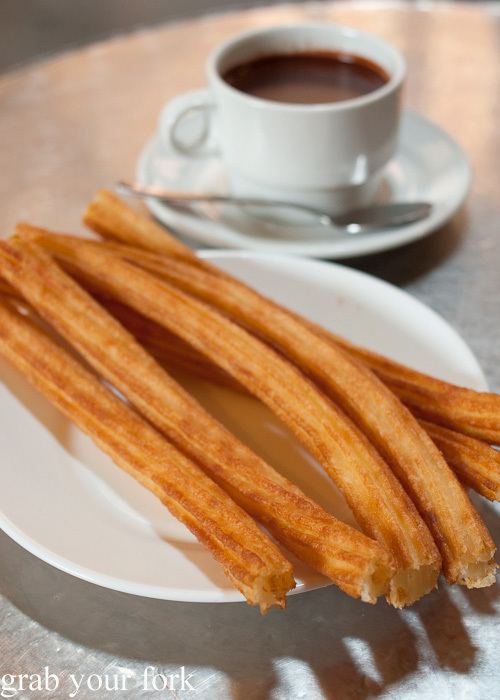 It's hard not to break out into a happy dance when you finally receive your churros con chocolate. I love that donuts and hot chocolate are a perfectly acceptable breakfast here. Viva Espana! And then the money shot. 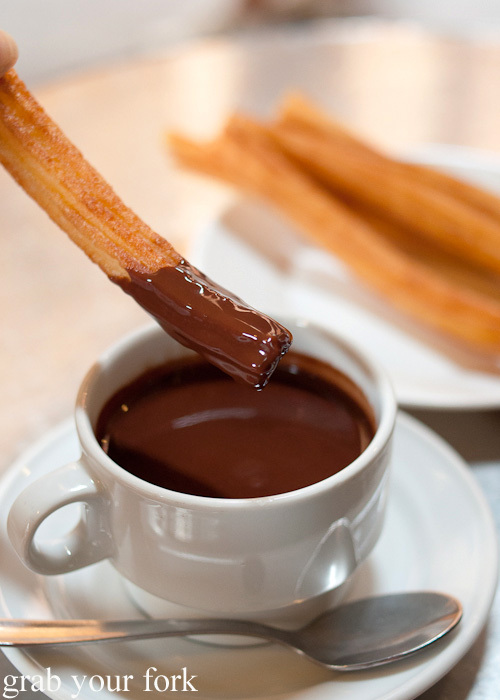 The hot chocolate is extraordinarily glossy and it coats the churros sticks like a dream. The churros are crunchy on the outside, fluffy in the middle and crusted with a fine layer of sugar that sticks to every corner of your lips. One mouthful is enough to convince you that life is good. So I didn't visit any art galleries in Madrid, but I did visit a Museum. 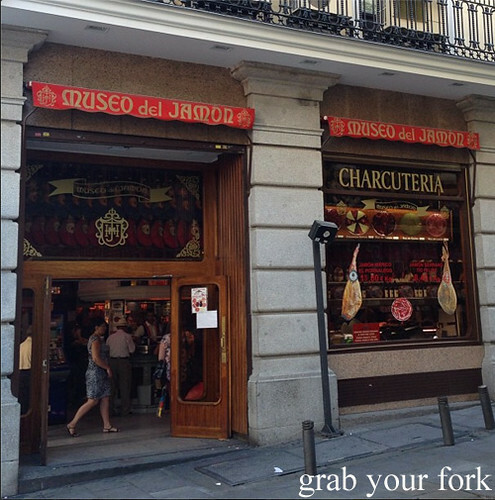 The Museo de Jamon of course! I particularly enjoyed the jamon exhibit above the counter. It moved me in ways I cannot begin to describe. Nutella in a squeezy tube! 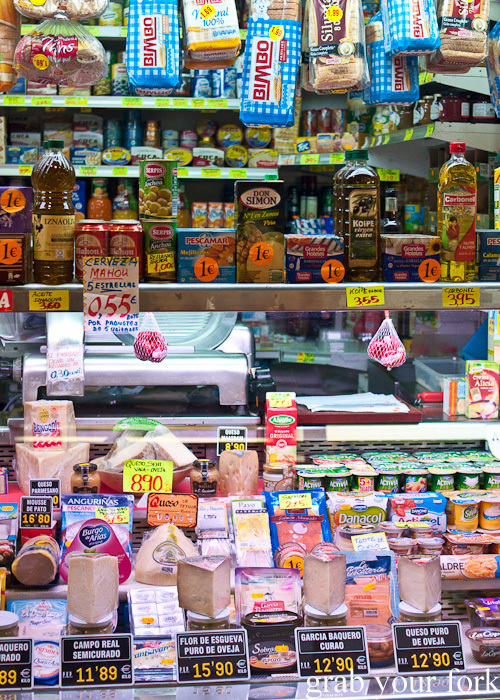 And I spent hour upon hour in that other fascinating microcosm of cultural identity: the supermercado or supermarket. Oh Spain, you are too awesome indeed. 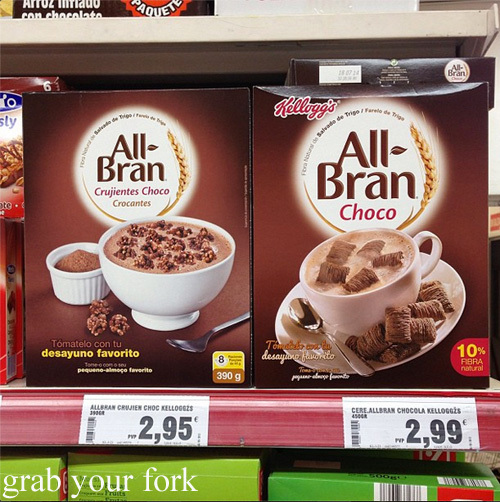 Chocolate All-Bran - fibre never tasted so good! I really wish we had these at home. 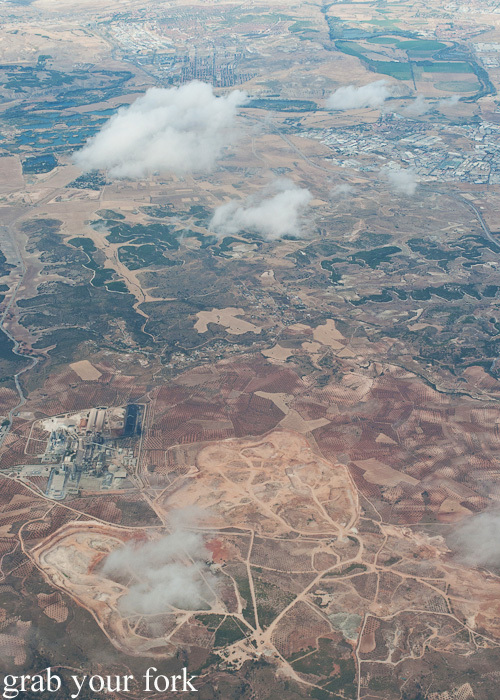 But after a whirlwind week, it was time to leave Madrid and Spain and take the three flights back home to Sydney. I had my precious iberico jamon with me of course. 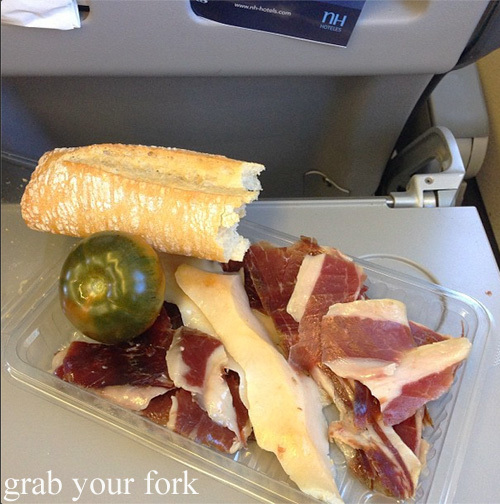 I can confirm that iberico jamon with fresh bread and a tomato is probably one of my favourite airplane meals ever. If only I could self-cater like this every time. 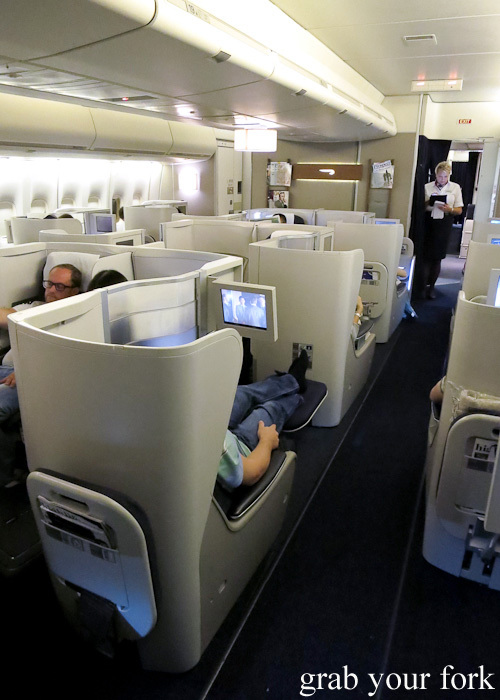 On my second and third legs I was surprised with an upgrade to Club World or business class on British Airways. They use an alternating system of pod-style seating where you face in the opposite direction of the person next to you. 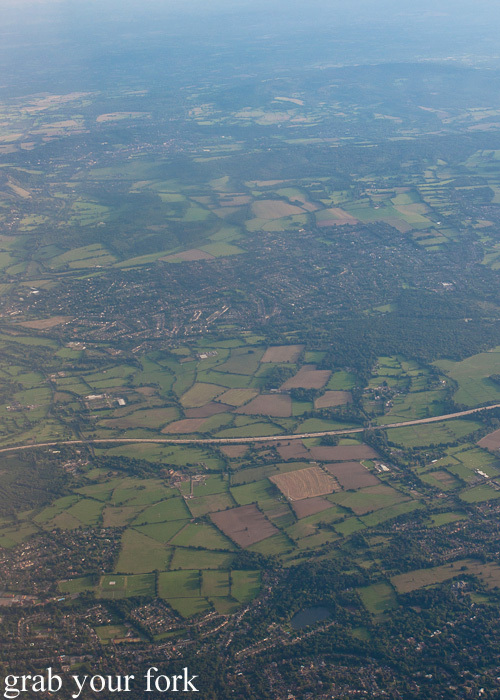 It does mean there can be a sense of awkwardness at takeoff and landing when you can see each other, but otherwise the tinted privacy screen can be raised during the flight for complete privacy. The two middle seats in the centre aisle face the same way - perfect for couples who can lower the privacy screen for their own secret double cabin. Strangers can keep the screen up as preferred. The seat does extend to a flat position but your feet rest on a folding seat that flips down from the seat in front of you. This does enable you to lay down flat, but I found that my footrest kept mistakenly retracting if I shifted my feet. If you're sitting by the window, you also need long legs to step over the footrest of the person next to you to exit into the aisle. 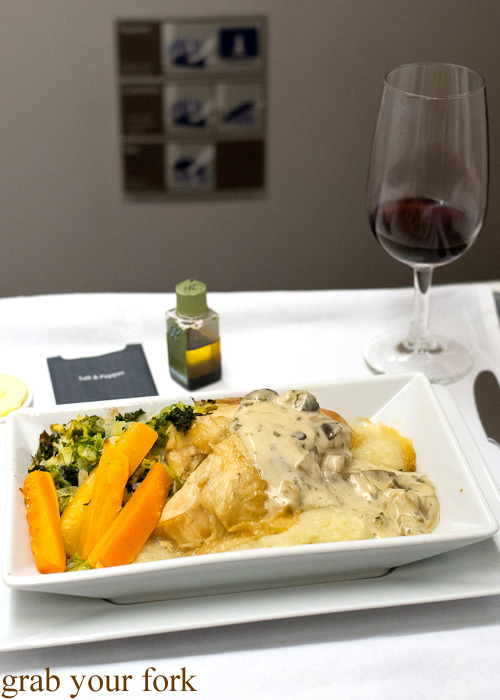 The food on the London to Singapore flight was way above my expectations. I delighted in the fresh figs that were served in my seasonal salad. 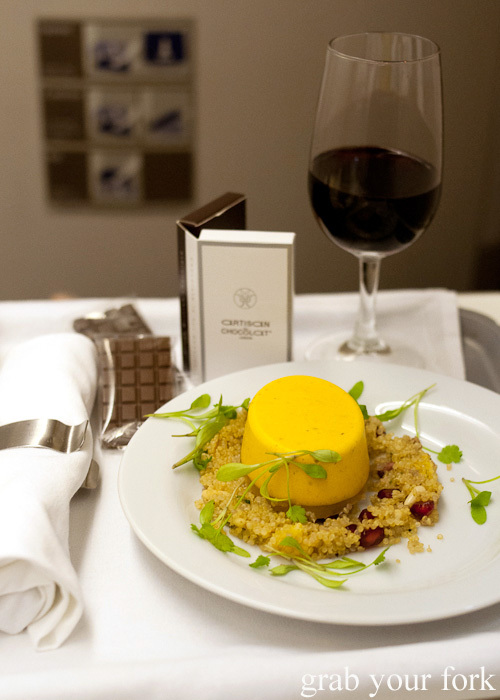 The carrot, coriander and cumin mousse was also a tasty number, siting on a layer of citrus jelly and a bed of quinoa studded with pomegranate seeds. The cornfed chicken breast was juicier than I expected but I skipped dessert so I could lie down flat as soon as possible. 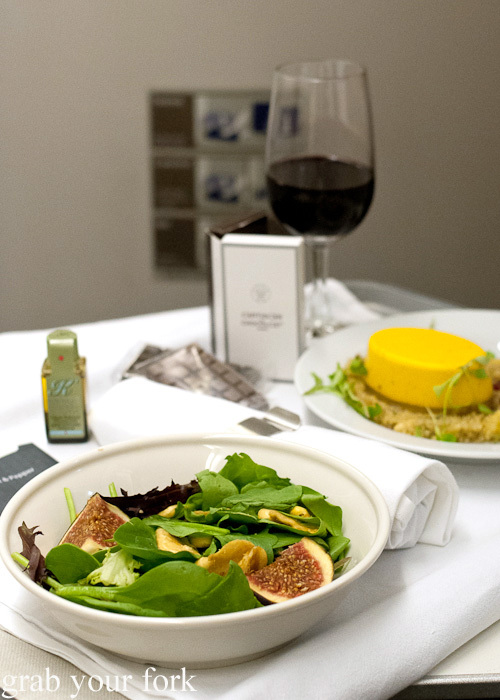 The luxury of lying down to sleep on a plane is always far too good to resist. 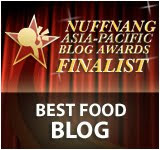 I had a four-hour stopover in Singapore Airport before boarding my final flight to Sydney. The home stretch! I was impressed with the crab salad but it was a little harder to get excited about a steak that was cooked to well done. 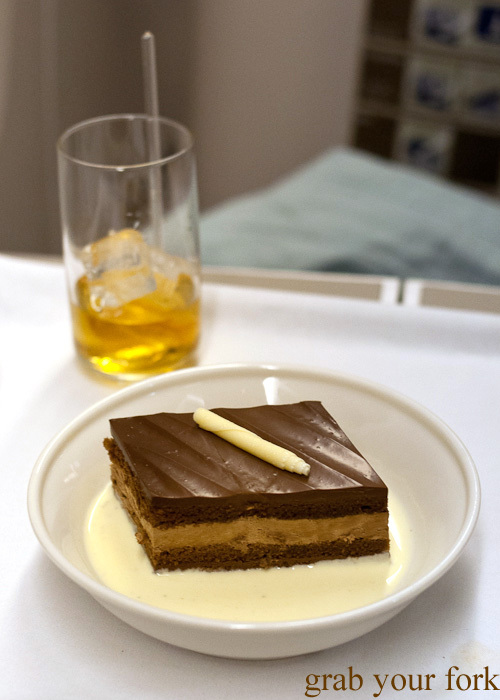 But that was all made up with dessert: a chocolate mousse cake that went down a treat with an Otard VSOP cognac. 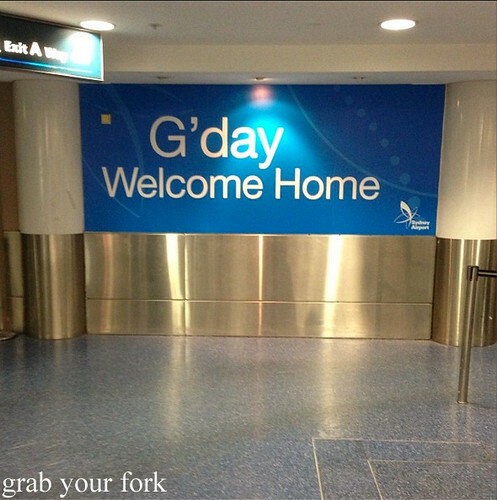 And 28 hours later... Sydney! I may travel all corners of the world but there's nothing like coming home. argh i want jamon! the whole leg! Errmahgerd! That iberico de bellota glorious! and the calamares and churros!!! Can't wait to visit Madrid. What a splendid post! Love how you describe the different types of Jamon! I saw the pic of the bulls testicles - ooh! Not sure I would go for that! Thanks for the tips on Madrid, will keep it in mind for my trip next year. Seafood version of the chip butty! 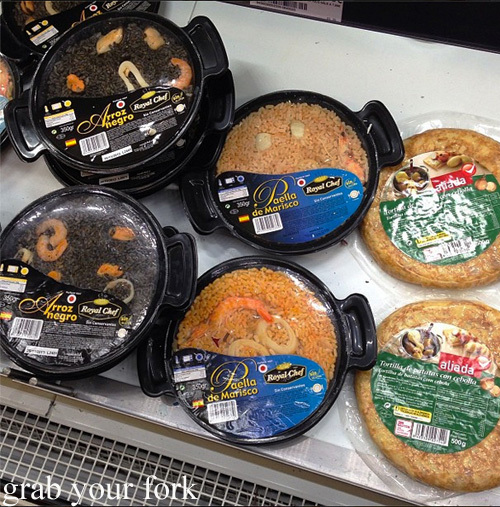 Also, I'm clearly incredibly tacky because I want to try the ready-to-heat supermarket paella. But also the tripe. Woot tripe! I had no idea about the different types of jamon. Love that the jamon shop person gave you extra fatty bits hehe. My parents are in Spain right now so I'll definitely be passing this post on to them! 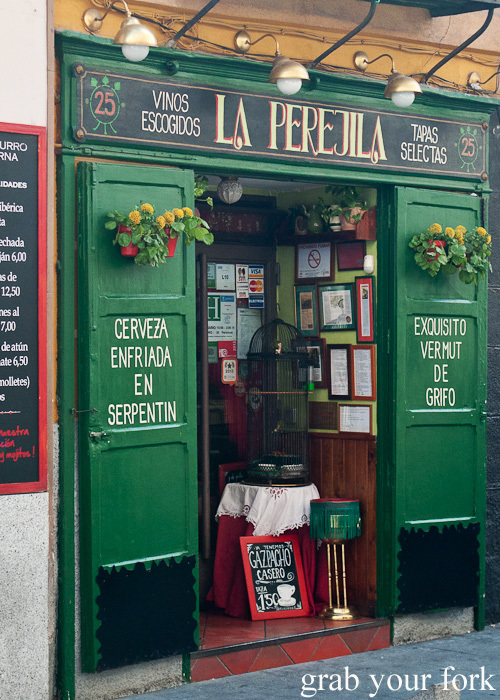 I went to Madrid a few years ago and it all looks so familiar. I want to go back!!! 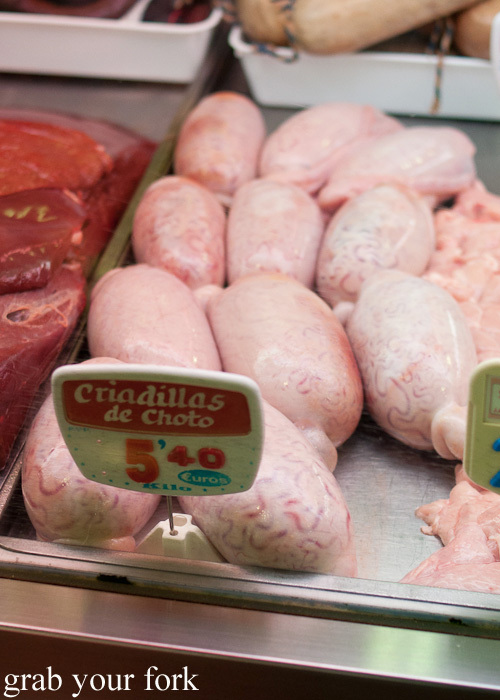 I must say those bulls testicles made me gag, but I could eat a bocadillo right now. Thanks for sharing. omgsh those churros! i am so getting some after the gym tonight! Oh my! 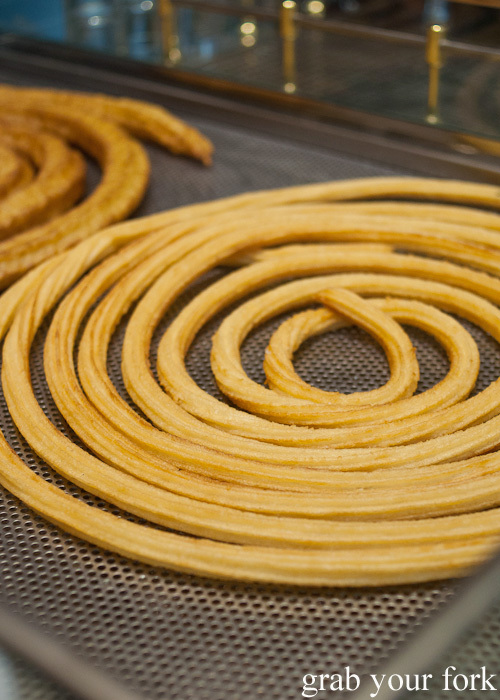 These coils of churros look scrumptious!!! Wish I could fly to Spain to eat these and some Jamon iberico!! I miss charcuterie soooo much! The churros and hot chocolate.. what a sight for sore eyes! I absolutely devoured this post with my eyes. Thanks for sharing what looks to be an awesome trip! Now this post is making me super jelly. Must stop gazing at the giant churros...MUST STOP! Oh wow how I want to go to Spain. 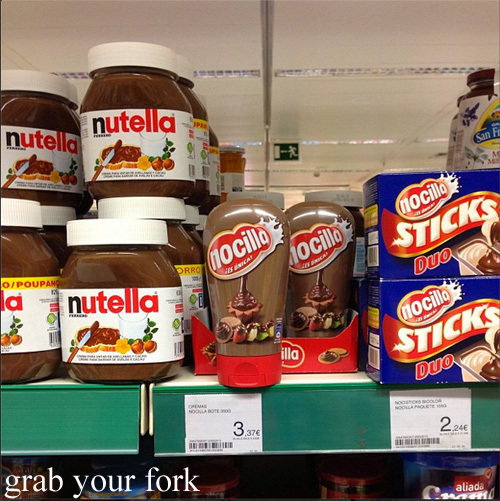 I would go into jamon meltdown. 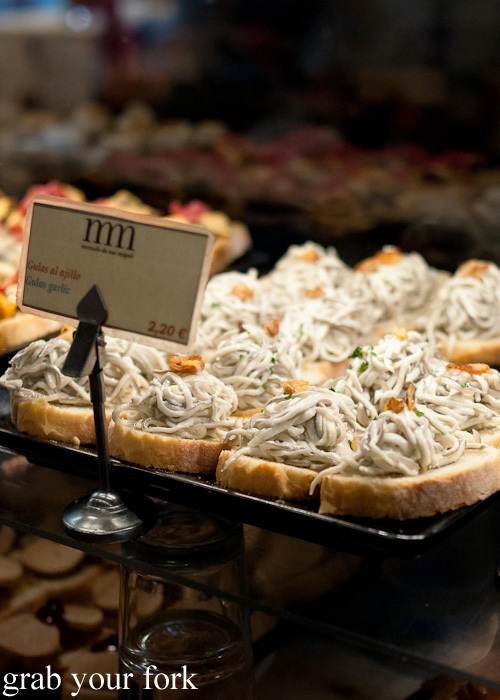 I'm excited to go to Madrid on our European honeymoon next year - especially after seeing all your incredible food photos! 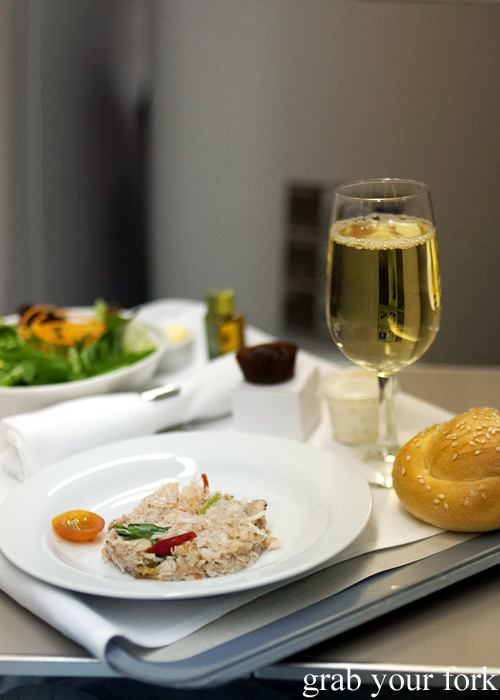 I want to know your secret as well - how did you get an upgrade to business class? !